With Valentines day fast approaching, the media is running rampant with romance tips. Forget everything else you’ve read – think Heinz. Who knew a simple condiment in your kitchen could come to your romance rescue? During the dark days of the Depression, Babs Johnson learned how to keep her hubby happy and add some spice to her sagging marriage. 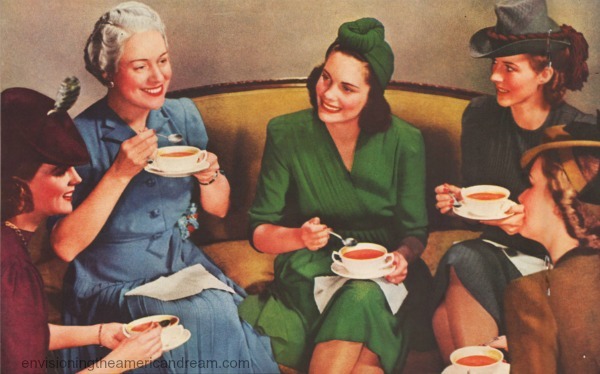 Life might not have been a bowl of cherries in Depression era America, but with a bottle of ketchup everything would seem like they were coming up roses. 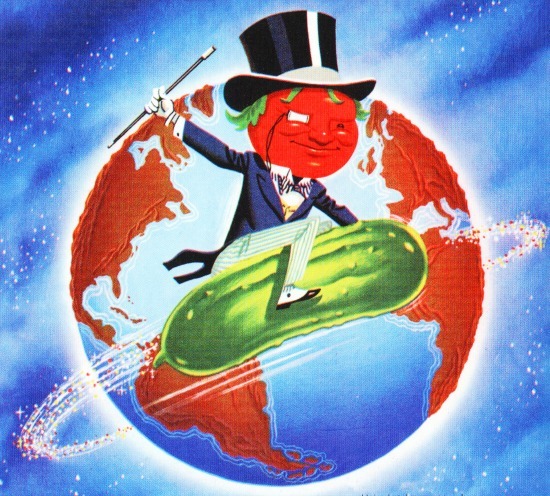 At least according to the ads Heinz ran in the 1930s. 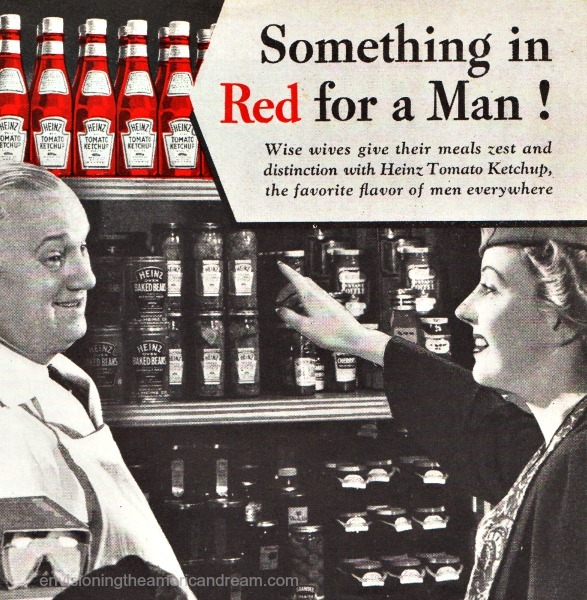 “Heinz ketchup beckons a man!” one ad copy proclaimed. 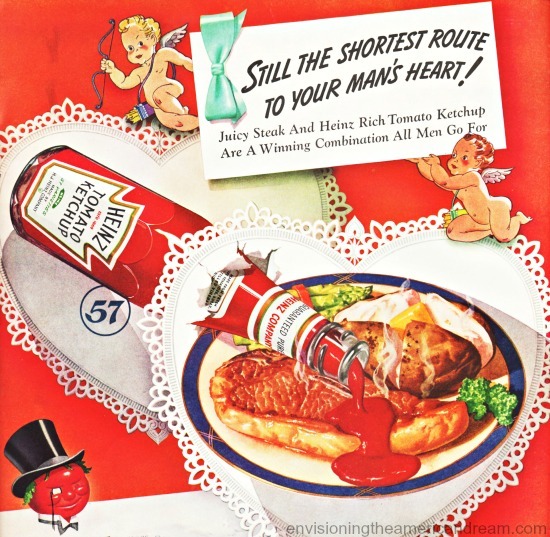 “It cultivates the habit of coming home to eat.” What man could possibly stray when that pert and perky condiment, that come hither Heinz ketchup bottle, beckoned? Poor Babs learned the hard way. Like the country’s economy her marriage to Dan was in the slumps. Romance had taken a holiday in her year old marriage. The honeymoon was barely over when Dan started burying his nose in the newspapers, barely touching his dinner, taking his meals at the local lunch counter. It was a particularly nasty row over dinner one evening that sent this newlywed into tears. 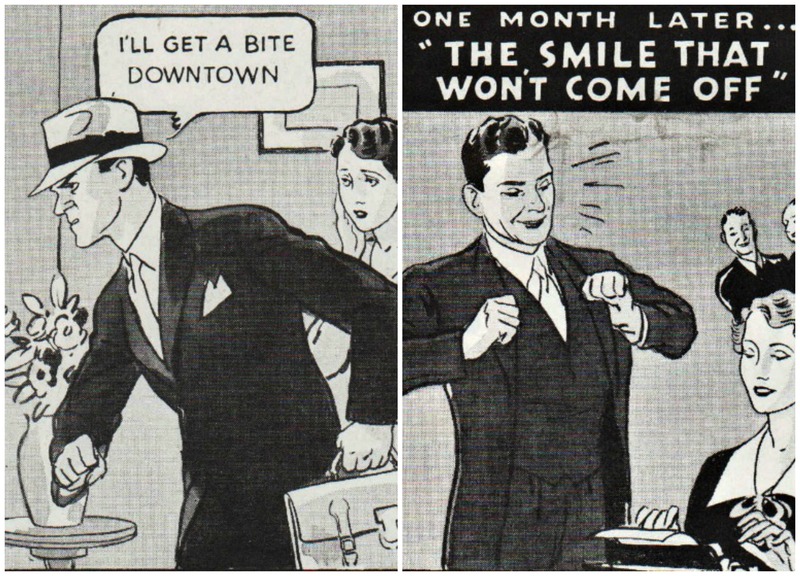 “I’ll get a bite downtown,” Dan fumed storming out leaving Babs bothered and bewildered. She had yet to learn that no gal can trust a plain meal to satisfy a man. This new bride was in need of a menu check up. Don’t take your man for granted! Keep a bottle of Heinz Ketchup always handy. You’ll find it an investment in happiness! It took the wise counsel of her more experienced gal-pals to set this young bride on the path to matrimonial happiness. Babs couldn’t wait to try it out. “Come on home for supper, Darling! 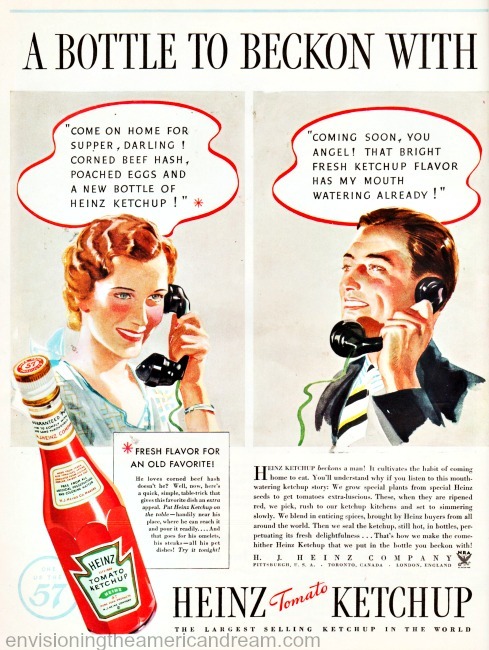 Corned Beef Hash, poached eggs and a new bottle of Heinz ketchup,” Babs cooed provocatively into the phone. No more wandering eye at lunch counters. No more whispers that Bab’s marriage was on the rocks. No more lonesome unhappy hours. For now, her hubby’s rushing home after work. Lucky Babs learned the secret to keeping a man satisfied. “This dumb bunny’s never fooled again,” Babs said firmly. She’d learned the first principle of culinary witchery – keep a bottle of that lusty condiment Heinz Tomato Ketchup handy in the kitchen! Something any gal today might want to keep in mind to keep her hubby from straying. Ugh. Unfortunately, it looks like with a certain political party, our country’s people may be regressing back to these vile Ketchup days. My mother must’ve been one of the first feminists because she never has this disgusting condiment in our home. Fun post! What a good time capsule. Thanks for putting it together. Awesome. This is real marketing in action.